Glioblastoma (GBM) is the most common type of primary brain malignancies. Patients face dismal prognosis with survival rate of less than 5% at tow years post-diagnosis. The fact that this figure has not changed significantly over the last 2-3 decades urges for more detailed studies to elaborate the pathological basis of GBM. Recently, the cancer stem cell (CSC) model has been applied on GBM and provided some interesting findings concerning the complex organization and interaction among cancer cells within the GBM mass. This may offer an alternative approach that has a significant positive impact on GBM management in terms of providing novel prognostic and therapeutic tools. Recent data, using certain markers such as CD15, CD133 and NG2, indicate that the simplistic picture of the CSC model may not be accurate. However, these new findings have imposed new questions that may lead to adopting novel cellular and molecular approaches. This image was taken by a fluorescent microscope. 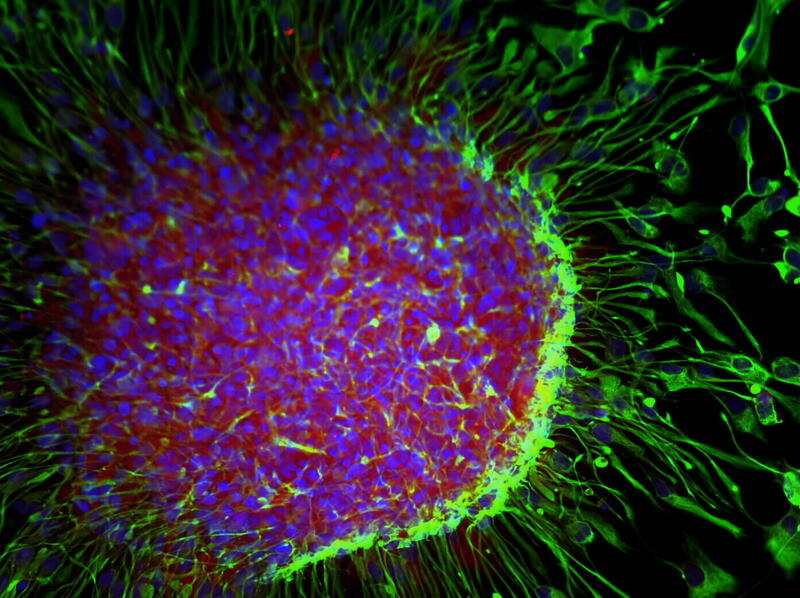 It shows brain cancer cells forming sphere in a lab dish. Red and green clours reflect the exsistence of different types of markers. Fael Al-Mayhani TM, Petalidis L, Kenney-Herbert E, Grenfell R, Ichimura K, Collins P, Watts C. (2009), “NG2 expression identifies a cell population capable of maintaining tumour growth in glioblastoma. ” In: National Cancer Research Institute (NCRI) Cancer Conference 2009; 4 Oct - 7 Oct 2009; Birmingham, UK. 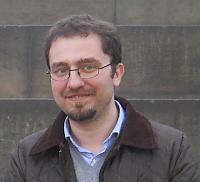 NCRI; Oct 2009. Abstract BOA18.